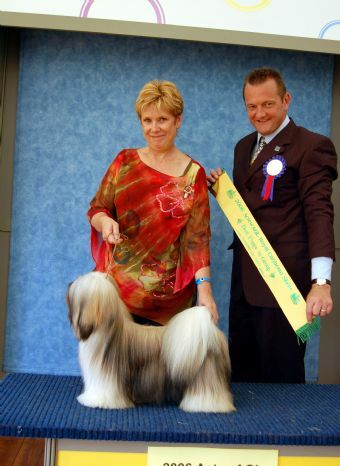 Olly gained his title at 14 months old with limited showing, he is a Group winner and multi Class in Group winner and multi Class in Show winner. Olly is in semi retirement, only coming out for Specailties and some of the bigger shows. 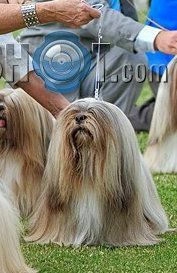 Critique - Mrs. Pauline Torrance (Sinyul Lhasa Apsos UK) - Cream with black tips, typical head and expression, good front, lovely reach of neck, level topline, good rear assembly which he knew how to use. 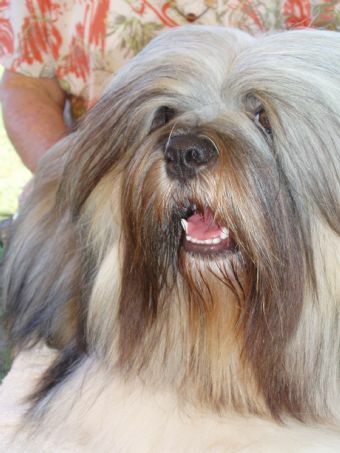 Critique - Jacquie Chalmers (Chethang Lhasa Apsos UK) - Pleasing sable, another who excels in head, nice shaped eye, correct mouth, good pigmentation, straight front into nice reach of neck, level topline, well musceled and sound.